H.E. Abdallah Yahya Al-Mouallimi is currently the Permanent Representative of Saudi Arabia to the United Nations. He has held various senior government and private sector positions including Ambassador to Belgium, Luxembourg and the European Union, Mayor of Jeddah, member of the Saudi Consultative Council and Director of Saudi General Organization for Military Industries. His private-sector service includes chairing the Jeddah Chamber of Commerce as well as holding the roles of Vice-Chairman of Olayan Financing Company and Managing Director of Coca-Cola Bottling Company, Saudi Arabia. Zak Hydari is Chief Executive of Rasmala UK Linited and Group Chief Executive of Rasmala Holdings Limited. Since his appointment as Chief Executive he has been instrumental in leading the business through a key acquisition and implementing post-acquisition value enhancement strategies. Zak is a special situations private equity investor with significant experience in raising capital from GCC based investors. He is a Board Member of Rasmala plc and Rasmala Holdings Limited. Zak is also Co-Founder of HBG Holdings, a special situations private equity investor. He holds an MBA from Cranfield University. Martin Barrow has extensive knowledge of Asia, having worked in the region for 35 years with Jardine Matheson. After joining the Hong Kong operations in 1965, he served as President of the group’s affiliate in Saudi Arabia, Managing Director of the operations in Japan and Regional Managing Director of Hong Kong and China, before being appointed to the board of Jardine Matheson Ltd in 1989. Mr. Barrow is a director of Matheson & Co Limited, Ballie Gifford Japan Trust PLC, China Britain Business Council and the Hong Kong Association. A career Banker with strong experience in UK and international markets including assignments in India, Sri Lanka, West Africa, Canada, Hong Kong and the United States, John Wright was recently appointed Chairman of Butterfields Bank UK. He was formerly Chief Executive of Oman International Bank for seven years, Chief Executive of the Northern and National Irish Banks in Ireland for five years, Chief Executive of the Gulf Bank in Kuwait and finally Chief Executive of Clydesdale & Yorkshire Banks prior to retirement. He has also served as Non Executive Director of banks in Oman, London and Bermuda and as Chairman of companies in Northern Ireland and in Scotland. He is a Fellow of the Chartered Institute of Bankers in Scotland and the Chartered Institute of Bankers in Ireland. Michael Willingham-Toxvaerd is Managing Partner of HBG Holdings UK LLP. He also holds a number of other directorships. He has significant experience in capital markets, mergers and acquisitions, founding, financing and listing companies on the London Stock Exchange. He is also experienced in private equity and holds an MBA from Cranfield University. Before joining Rasmala, Neil served as CFO in various organisations including Europe Arab Bank Plc, Commerzbank and Standard Chartered. Prior to these roles Neil also covered CFO roles at Bank of Nova Scotia, Dai-Ichi Kangyo (now Mizuho) and started his career working for Kleinwort Benson Merchant Bank. Neil has extensive international experience and obtained his CIMA qualification in 1993. He is a Board member of Rasmala plc. 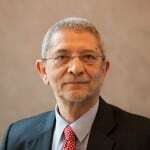 Mr. Imtiaz Hydari was President and CEO of the Olayan Group in Saudi Arabia between 1991 and 1995. He is a Co-Founder of Abraaj Capital, is Founder and Executive Vice Chairman of HBG Holdings and Chairman of Rasmala Investment Bank. A key player in the corporate and private equity space in the Middle East over the last 35 years, Mr. Hydari has managed some of the region’s largest businesses and played a leading role in its landmark M&A transactions. He is a pioneer of private equity and mergers and acquisitions in the MENASA region. Mr. Hydari is a Fellow member of the Institute of Chartered Accountants in England and Wales (FCA) and a Fellow member of the British Chartered Management Institute (FCMI). Henry Azzam is currently Senior Lecturer and Program Director, Master of Finance, Olayan School of Business, American University of Beirut. He has held various senior positions including Chairman and CEO of The Social Security Investment Fund of Jordan, Chairman of MENA region for Deutsche Bank, CEO of Amwal Invest and Chairman of Dubai International Financial Exchange (now Nasdaq Dubai). He was also Chief Economist of the National Commercial Bank. 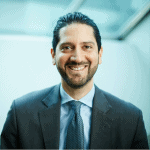 Dr. Azzam holds a Ph.D. in Financial Economics from the University of Southern California and BA and MA from the American University of Beirut. Zak Hydari is Chief Executive of Rasmala UK Limited and Group Chief Executive of Rasmala Holdings Limited. Since his appointment as Chief Executive he has been instrumental in leading the business through a key acquisition and implementing post-acquisition value enhancement strategies. Zak is a special situations private equity investor with significant experience in raising capital from GCC based investors. He is a Board Member of Rasmala plc and Rasmala Holdings Limited. Zak is also Co-Founder of HBG Holdings, a special situations private equity investor. He holds an MBA from Cranfield University.